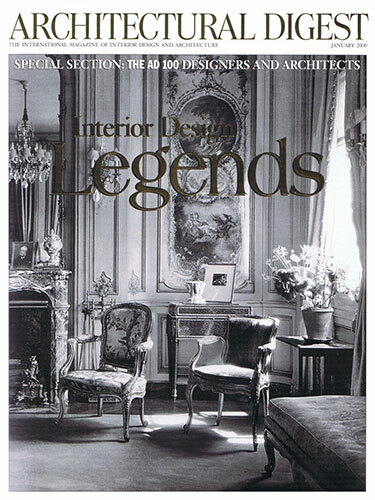 For the January 2000 edition, Architectural Digest once again published its revered list of the Top 100 Architects and Interior Designers respectfully entitled “Interior Design Legends.” An interview of Ron Wilson revealing his reverence for the classicist Billy Baldwin can be seen on page 132. Copyright © Ron Wilson Interiors, Inc. 2019. All Rights Reserved.